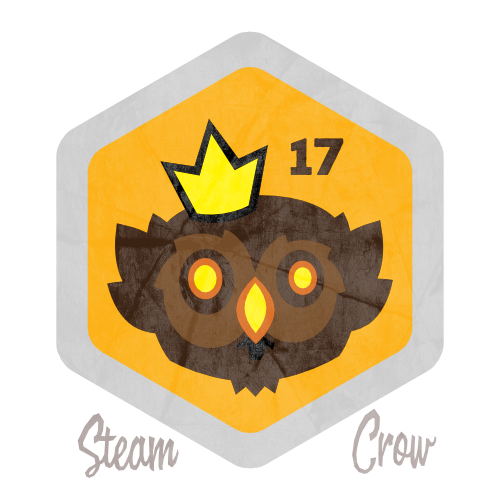 The Golden Owlbear Membership Badge shows that you were a supporter of Steam Crow in 2017. This Spirit Badge was a featured reward for our 2017 Monster Scouts Membership Drive Kickstarter. The Golden Owlbear Spirit Badge is worth 75 Glory points. Owlbears are flightless and powerful creatures who reside in the woods surrounding the towers of insane Warlocks who combine the genetics of 2 normally peaceful forest creatures. This is a rather Rare badge.